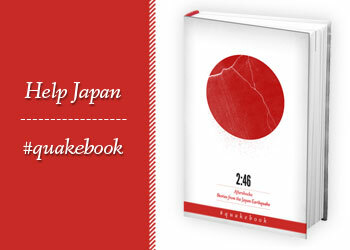 You may recall that last year, after the Great Tohoku Earthquake in Japan, I participated in the publication of Quakebook, the first Twitter-sourced book that compiled stories of the quake. Besides spreading a message of hope, Quakebook allowed people to digitally download the book, with 100% of proceeds of sales going to the Red Cross. It was a privilege to get to know the people involved, and the book was a remarkable success, both in e-book and eventually in print format as well. Thousands of people bought the book and the money collected by the Red Cross was staggering. That book was Twitter sourced, and it was stories about the quake. Now, a year later, we need to examine the effects of the quake and how every-day life in Japan is forever altered by the experience. To that end, coming out this week will be the one-year-anniversary follow-on book, published by Abiko Free Press. This is not a book for charity. This is hard journalism by professionals who examine, analyze and synthesize the experience through various lenses to achieve a modicum of clarity regarding the spirit of Japan since the quake, as well as a bit of what we can expect in the future. It is, in short, becoming a work of staggering genius. I am again involved, thanks to the great folks who are producing the book, and it is again a privilege to do it. There are lessons out of 3/11 and we aim to find them, and embrace them. Stay tuned for more information.